Complete roof rebuild from a fire claim. 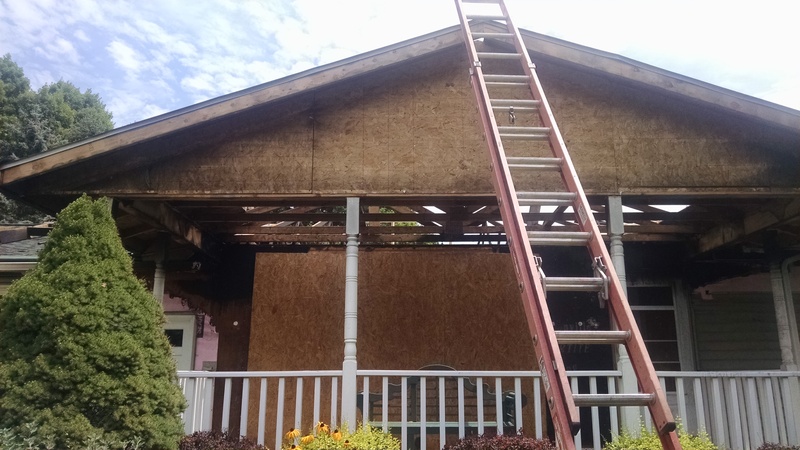 We are experts in insurance restoration from the severe weather we have here in Ohio. Assisting with the claims process is our forte. We handle the process from start to finish, which leaves you with only one worry- What are the style and colors of your new exterior! Call us today to have your home inspected. One of our representatives will come out and do a complete inspection. If there is damage to your home we will inform you of how it likely happened, what it will take to fix it, and if it would likely qualify for and insurance claim. Worried about your deductible? Check out www.exterior referral network.com. This is a place where you can earn money towards your deductible, and sometimes even more by referring your friends, family, and neighbors to us and other professionals in the network. Each referral that has work done is a referral that you get paid for. When the storm events hit, they are wide spread. Chances are you know people have been affected by the storm. Just refer them through the network and earn $100 or more for each one.